REVIEW! 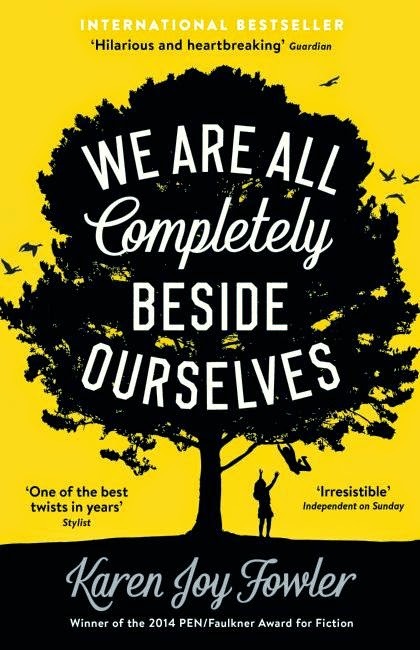 : Books I read in January: We Were Liars, We Are All Completely Beside Ourselves, Fangirl. I read some more books hooray! I managed to read four and start one more in January which is real good for a slow reader like me. Up for "review" today are: E. Lockhart's We Were Liars (2014), Karen Joy Fowler's We Are All Completely Beside Ourselves (2013), and Rainbow Rowell's Fangirl (2013). Let's go! So I enjoyed reading this, got right into the Simon Snow fanfic, I REALLY want the Simon Snow series to be real (there's room in this world for Harry and Simon), and I loved that it was about fandom, but I didn't really like the main character Cath or main love interest Levi. I don't know what happened, I connected with her at the beginning when she was too scared to find the dining room and hiding in her dorm and eating tacos with her dad. I think I found her relationship with Levi a little off putting, he seemed sort of fatherly towards her... it was kind of icky. But that didn't stop me enjoying the book amazingly! 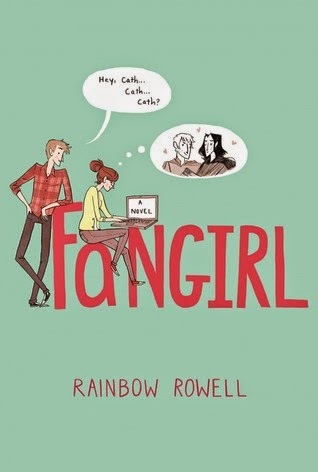 All that aside, I enjoyed reading it and I am kinda thrilled that the world of fandom has been so sensitively explored in the capable hands of Rainbow Rowell. I am also now very happy I can join in on the excitement about Rainbow Rowell's next book being Cath's fanfic 'Carry On'! I've read Eleanor and Park, which I enjoyed- any other Rainbow Rowell books I should be picking up? I highly recommend reading this book. I felt completely drained after reading it, which has to be a sign of a well written book. 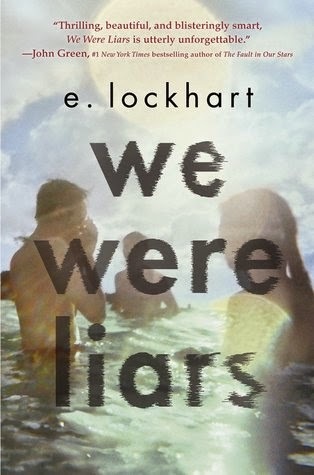 Most reviews and recommendations I've seen on We Were Liars give absolutely nothing away, so I may follow suit on that. What I will say is that from the beginning there is some great... experimentation with the creative writing. There are metaphors that you don't realise are metaphors until you're half way through them and figure the character's heart hasn't actually fallen out her body and rolled down the lawn. It turns to poetry at points, to great effect. It's really great to see this kind of clever writing in a young adult book, young adults definitely deserve to be seen as clever readers. The reader follows with Cady as she slowly regains her memory, the story slowly revealing itself to the reader through the same fog the character is experiencing. There's romance, friendship, family, tragedy, heartbreak, memory loss, the works. Go read it now! ...And then make sure you have somewhere to have a lie down when you finish it. Hey look! An adult book! Like a real adult I read this book for real adult people, finishing it on the train on my 25th birthday. A really unique story, told from the perspective of a character whose experiences would never have crossed my mind otherwise. The 'twist' happens fairly early on, but still far enough into the book for it to have full twisty effect. Rosemary is a trustworthy and amiable narrator, who guides the reader with humour though a story of family heartbreak and moral questions under less than usual circumstances. I'm having a bit of a historical fiction February, having read The Miniaturist and now Burial Rites, I might try and round off the month with another historical type thing because having a theme is nice and I've had Kate Atkinson's Life After Life sitting on my kindle for a while now. However I do have something a little more witchy- Half Bad- and something a little more dystopian- Station Eleven- so I'll have to see what takes my fancy.